A treasure trove of more than 25 great projects, simple enough for beginners but irresistible to all. Practical yet pretty hand and sewing machine projects are an ideal way to create gifts with lasting impact. 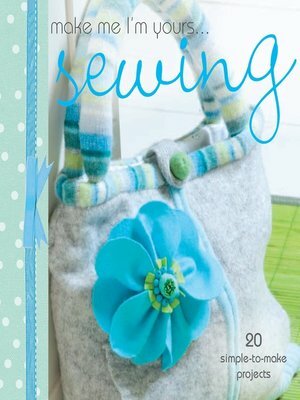 Packed with ideas, needlecraft techniques, step-by-step instructions and handy tips to make it fun and easy. With ideas for you and your home, from beautiful bags to vibrant cushions, everyone will find a project they adore.